Paris attacks: Why terrorists have the advantage. French authorities have too many suspects to track and too many targets to protect. A policeman stands behind a cordon blocking the street near the site of an attack at a Paris restaurant on Nov. 13, 2015. Many of the photographs spilling out of France after Friday’s terrorist attacks show armed troops standing guard at the Eiffel Tower—a familiar symbol that clearly relays that the message is about security in Paris. But on that horrific night, the terrorists did not attack iconic targets, where they might run into security. They chose far softer targets for their killing fields—restaurants, a crowded concert hall, a football stadium—where they would encounter little or no security. This attack was all about the killing. People were the target. Terrorists almost always have the advantage. The element of surprise is on their side. Theoretically, they can attack anything, anywhere, anytime. And governments cannot protect everything, everywhere, all the time. The list of easy terrorist targets can seem endless—houses of worship, schools, restaurants, theaters, hotels, department stores, open-air markets, apartment buildings, train and bus stations, and random public events. Sometimes these targets have iconic value—they symbolize a government policy, a particular group, or a lifestyle opposed by the terrorists. Many times, they are simply places where people gather—roughly 80 percent of all terrorist attacks are carried out at locations where there are no security perimeters to penetrate, no armed guards to respond. 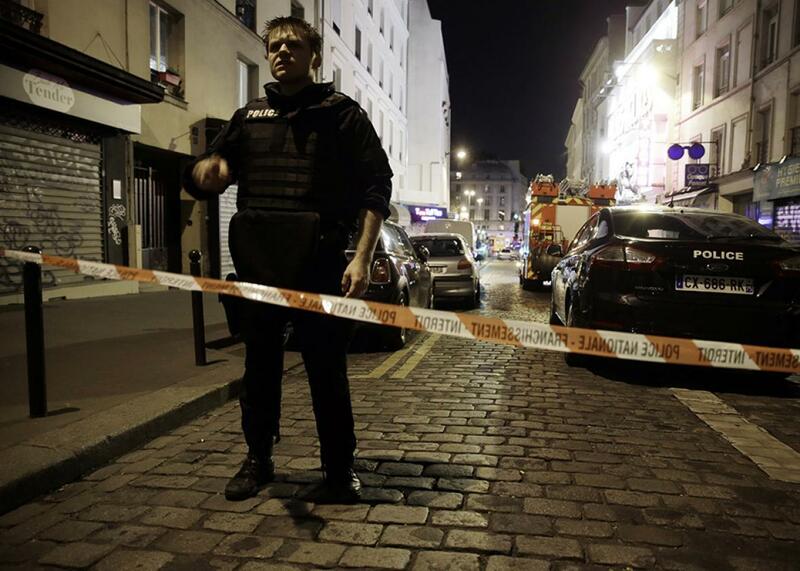 Finding six soft targets was easy for the attackers in Paris. It wasn’t the level of sophistication or tactical skills that determined the extent of casualties, but rather the willingness of the terrorists to kill wantonly. Security has been increased, but of course it is not possible to erect security perimeters around every conceivable place terrorists might attack. Terrorists who come upon an impenetrable target would merely have to drive a block or two down the street to find a vulnerable one. Some cities actively fighting terrorist campaigns have adopted a neo-medieval approach and put up “rings of steel”—cameras, physical barriers, restrictions on traffic, security checkpoints with armed guards—in an attempt to protect city centers. London and Belfast, Northern Ireland, used this approach during the Irish Republican Army terrorist campaign. A more recent example is the Lower Manhattan Security Initiative, an extensive web of surveillance cameras and checkpoints that has surrounded Manhattan’s financial district since 9/11. When nations and their people are frightened, protective barriers can suddenly become popular. And when the construction of physical walls is not possible, a virtual wall—in the form of a more secure border—is often put in place. The historic wave of refugees pouring into Europe from the Middle East and North Africa has already caused the reimposition of stringent border controls. Fences are going up in Hungary, Bulgaria, Austria, and Slovenia. The Paris attacks and new fears of terrorists infiltrating the ranks of refugees will further pressure the European Union’s commitment to free movement. Either the EU countries will better coordinate their policies regarding the handling of refugees and returning foreign fighters and further increase their cooperation in intelligence and law enforcement, or internal border controls within the EU area will increase. In the wake of last week’s attacks, the French government deployed thousands of gendarmes and soldiers in Paris. That will shorten the response time if more attacks occur, but it will not prevent fatalities. A terrorist shooter requires prompt police intervention to halt the carnage. As we have seen in the United States, a single shooter can wreak havoc. Armed with only two pistols, Maj. Nidal Hasan was able to kill 13 and wound 32 in 2009 at Fort Hood in Texas. Anders Breivik, a lone right-wing extremist, shot and killed 69 young people at a summer camp and wounded 110 others in 2011 in Norway. Recent history shows that a couple of determined terrorists can kill scores of people in minutes. In the 2008 Mumbai attacks, 100 of the 166 fatalities occurred in the opening stage of the attack. Certain aspects of a terrorist attack are a given. Terrorists are willing to kill indiscriminately and can often easily circumvent physical security measures—while police are unable to intervene in time to prevent carnage. So the burden falls on intelligence to uncover and prevent terrorist attacks before they can occur. Many will portray the attacks in Paris as a failure of intelligence. Of course, intelligence did fail in the broadest sense. After the thwarted shooting on the high-speed train between Amsterdam and Paris in August, French authorities believed that terrorists were planning new attacks in crowded places but failed to uncover the plot. It is worrisome that intelligence did not pick up on such an elaborate operation, given that at least eight terrorists were directly involved in the coordinated attack and many more were almost certainly indirectly involved, and that weapons were acquired and seven explosive devices were built. But one should not underestimate the difficulties of intelligence collection in Europe today. France’s intelligence services are being overwhelmed by the many individuals who have gone to join jihadi fronts in Syria (some of whom have returned), those suspected of preparing to go, and still others suspected of being involved in plotting or supporting terrorist plots. The total number easily runs into the thousands. Keeping every one of them under close surveillance is not possible. Choices have to be made. Some plots will be thwarted. Others will inevitably evade detection. The influx of millions of refugees into Europe complicates intelligence operations, not only because ISIS or other jihadi groups may be infiltrating the flow of refugees. The authorities are being confronted with large, newly arrived diasporas in which the authorities have no intelligence sources. Many of the refugees are young men with little or no education who are coming from violent environments. Finding employment will not be easy for them. Events like the Paris attacks will not make their integration into society any easier. Frustrated and angry, some refugees may turn to crime. Others may be predisposed to violent ideologies. The fact that authorities in France and other countries in Europe are dealing with such huge numbers of potentially dangerous individuals reflects broader societal problems. It indicates the presence of alienated, self-isolating communities where the violent ideologies emanating from the Middle East find resonance and recruits. Some are likely to be attracted by ISIS’s line that this is the beginning of the end-of-time showdown between believers and infidels. The Paris attacks will only serve to deepen this social divide. A growing number of people in France are becoming convinced that a large portion of the country’s Muslim population has turned against French society and that new policies are needed. There is sharp debate about what these new policies should be. After the latest attacks in Paris, French President François Hollande promised to “lead a war that is pitiless.” Already a member of the coalition assembled to attack ISIS in Syria and Iraq, France has intensified its bombing of ISIS’s sites in Raqaa, Syria. The coalition’s overall campaign against ISIS could escalate from one of slow strangulation to one aimed at swift destruction. This may scatter ISIS’s forces in the region, while perhaps convincing some of its supporters worldwide that the final battle has indeed begun.